Rob Funsten is the Co-Chair of Brown Rudnick’s Global Life Sciences Practice and is a partner in the firm’s Corporate practice. Rob’s transactional, M&A and securities practice focuses on advising life sciences companies, including pharmaceutical, medical device, diagnostic, biotechnology, biopharmaceutical, biomedical, nutraceutical and other healthcare industry firms. Rob is a seasoned life sciences industry professional. He has extensive experience advising life sciences companies, from emerging growth companies and startups to large multinational public companies, in licensing and development deals, intellectual property and technology transfer agreements, strategic alliances, collaborations and joint ventures, mergers and acquisitions, supply, distribution, marketing and promotion arrangements, debt and equity financings and other business transactions. Prior to joining Brown Rudnick, Rob was the Co-Chair of the Life Sciences Practice of a global AmLaw 100 firm. Before that, Rob was Senior Vice President, General Counsel and Corporate Secretary of Watson Pharmaceuticals (now Actavis Group), a multibillion-dollar specialty pharmaceutical company. 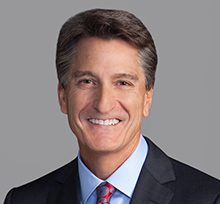 Rob also served as the Vice President, General Counsel of Chiron Vision Corporation (now a part of Bausch & Lomb), an ophthalmic medical device company, and as Corporate Secretary of ISTA Pharmaceuticals, a branded pharmaceutical company (now a part of Bausch & Lomb). Named a Life Sciences Star for his outstanding transactional work by LMG Life Sciences (2012 – 2018).